We know, we know: You’ve got a dozen excuses for not taking on 26.2—and we’ve got a counter for each one. Sure, marathon running isn’t for everybody, but if you’re holding out because of fear, self-doubt, or lack of motivation, now’s the time to kick those excuses and do something big in 2019—like run the largest marathon in the world. 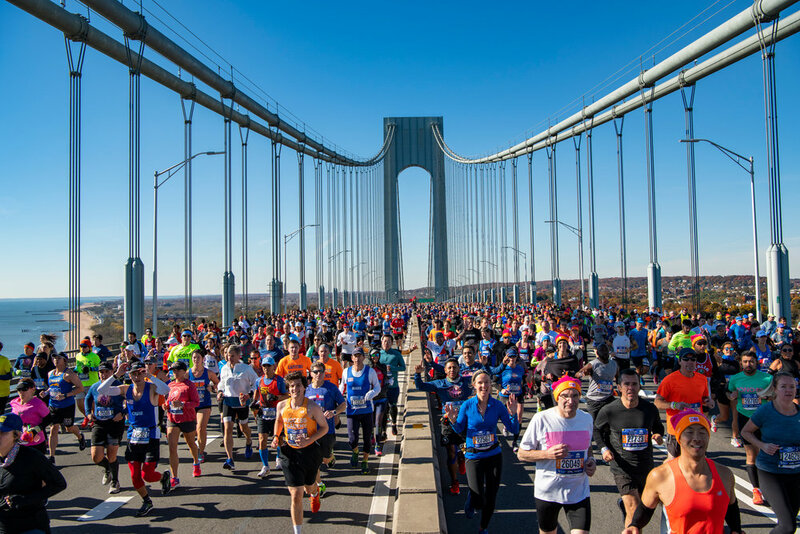 The application for the 2019 TCS New York City Marathon is open from January 14 through February 14, 2019. It’s free to enter the drawing and the application is easy to complete (just saying). Actually… An 86-year-old male and an 88-year-old female were the oldest finishers in the 2018 TCS New York City Marathon, while 40-44-year-olds made up the biggest age group of finishers in the race. As for your knees, protect them by maintaining strength and flexibility in your spine, hips, and upper and lower legs. Integrate strength training, foam rolling, and stretching into your routine, and consider using your rest days to practice yoga. 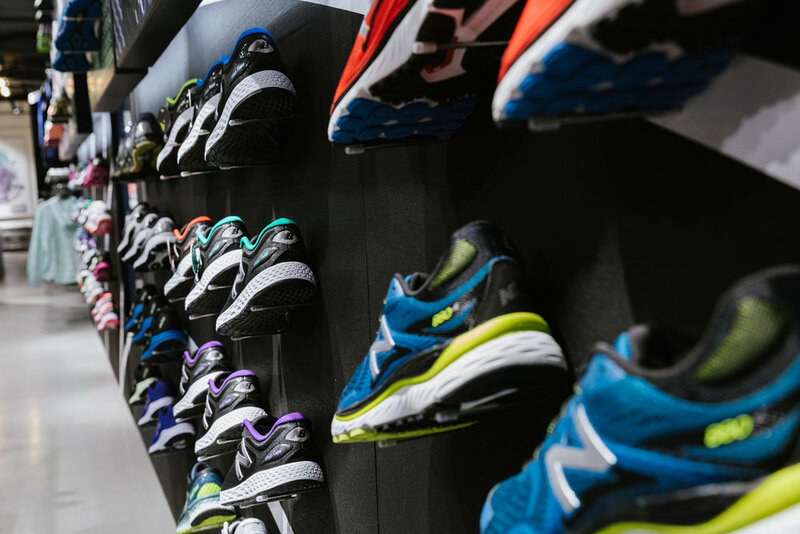 If you live in NYC, check out our full schedule of free classes at the NYRR RUNCENTER featuring the New Balance Run Hub. Actually… NYRR Group Training sessions are offered in the morning and the evening and are held in all five boroughs during Marathon season. The workouts offer camaraderie, coaching, and the inspiration that comes from running with others. If you struggle with doing speedwork solo, NYRR Group Training is definitely for you. Actually... We know logging 12, 15, 18, or 20 miles is tough—especially during the hot summer months. That’s why the TCS New York City Marathon Training Series exists. These timed and scored long runs—one each in July, August, and September—let you pretend it’s race day, with pacers, hydration, and nutrition that mirror what will be on the TCS New York City Marathon course. Actually... You can always hit up the NYRR coaching staff with training questions. We host a live chat on Facebook every Wednesday from 12:00 p.m. to 1:00 p.m. ET, so you can get expert answers without leaving your home or office. Also check out our line-up of races throughout the summer months to get you ready for the race-day environment without having to cover a full 26.2. Manageable distance + festive atmosphere = fun for the whole family. Also know that you don’t need to buy everything at once. As you build up miles, add accessories to support your longer training runs, like a moisture-wicking hat, running sunglasses, and a belt for storing keys, water, and your phone. While a GPS running watch will most accurately track your miles and pace, a free app on your phone like Strava can get the job done, too. Actually… Extra-special entertainment is planned for parts of the course where the going gets tough. During the 2017 race, for example, the New Balance Mile-20 Block Party ushered runners past the most challenging part of the course with local drum lines and Bronx DJs. Cheer Cards—personalized greetings created for runners by their friends and family—made their debut in 2017, and were displayed on big screens on miles 21 and 24 during last year’s race. Actually… We’ll wait for you. While course amenities may no longer be available to runners who exceed the race's 6.5-hour time limit, athletes will be celebrated at the finish line late into the evening hours. At the 2017 event, some of the race’s very first finishers, including women’s open champion Shalane Flanagan, running legend Meb Keflezighi, and five-time event champion Tatyana McFadden, joined NYRR staff and volunteers at the finish line to welcome runners who had spent 10, 11, or 12 hours completing the race. Actually… You can still run with NYRR Team for Kids or with one of our Official Charity Partners—there are hundreds of causes to support. If you’re local, and can wait a year, you can also get a spot in the race via our 9+1 program. Run nine races and volunteer at one NYRR event by December 31, 2019 and you’ll earn guaranteed entry to the 2020 TCS New York City Marathon. Convinced you can do it? Apply for a spot in the 2019 TCS New York City Marathon. The application is open from January 14 through February 14, 2019.